Only one in four adolescents in Michigan is physically active for 60 minutes or more per day (source). This inactivity can lead to major health issues, including obesity and diabetes. 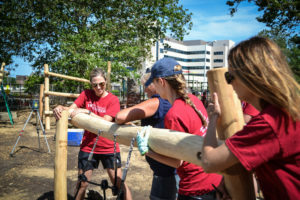 The Junior League of Grand Rapids (JLGR) seeks to improve statistics like this by creating Wellness Adventure Yards – which are custom designed playgrounds – that provide safe and engaging play spaces for children and their families. JLGR’s Wellness Adventure Yard (WAY) projects are an outreach effort to improve children’s physical health by increasing access to space that children feel safe exploring and learning in through physical activity. Each WAY provides opportunities for children to practice goal setting, build confidence, and explore concepts of cooperation and teamwork during play sessions on specialized equipment. Each WAY is customized to meet the needs of the community at each specific location in which it is established. 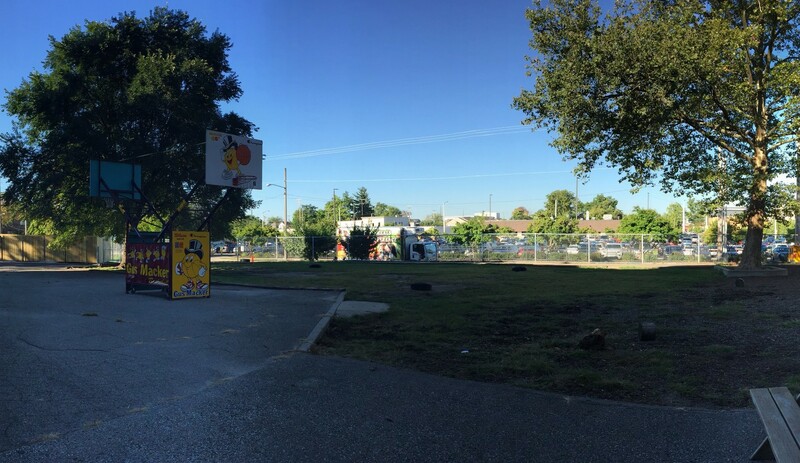 The first installment of the WAY was built at the YWCA Wege Sojourner House in September of 2014. The Wege Sojourner House allows women and children in situations of domestic abuse to find comfort in a safe place where they can heal and regroup. The WAY, built in the backyard at the Wege Sojourner House, gives the children a place to play, explore, and feel safe in a secure outdoor setting. The fact that it was fully fenced in allowed children to stay with staff at the Wege Sojourner House while their mothers left for job interviews and other important appointments. In 2017, the second WAY installation was completed at the Grand Rapids Child Discovery Center (GRCDC), a diverse K-5 school near the heart of downtown Grand Rapids. JLGR, in collaboration with GRCDC, designed and installed an outdoor play area that meets the physical activity needs of the students while also reflecting the school’s focus on community and environment. 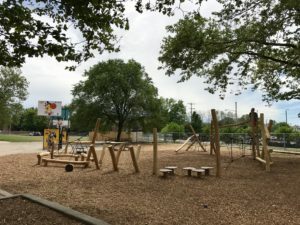 While the second WAY at GRCDC provided much needed additional play space for the students, many school parents were surprised at the increased sense of community the WAY provided. The WAY at the GRCDC draws the school community together as a place to gather before and after school for both students and younger siblings alike. 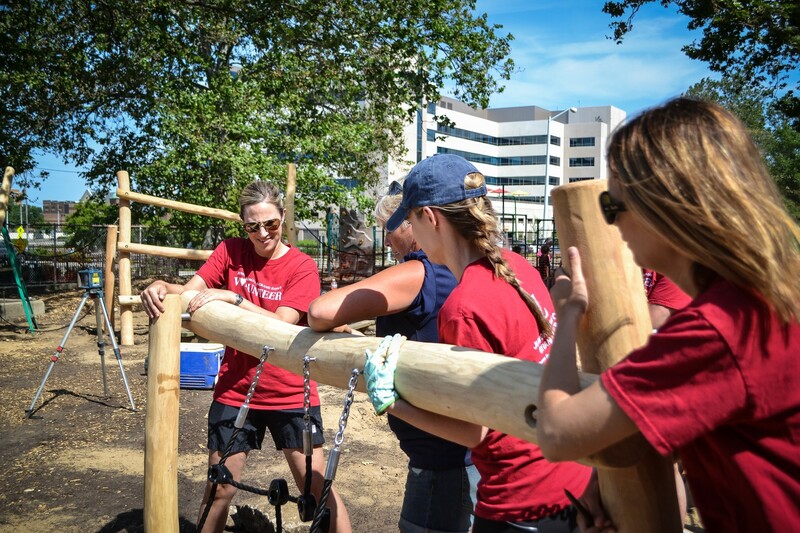 If you are interested in partnering with the Junior League of Grand Rapids to create a Wellness Adventure Yard in a community in need of safe, creative play space for children, we’d love to hear from you. Please contact us at jlwaygr@gmail.com.